we will celebrate Mother's Day . Click on the picture to buy now! Looking for a Mother's Day gift that's absolutely Natural Handmade and good for all skin type ? What beauty treatments would mom enjoy most—bath soaks, face scrubs? Each of these artisan soaps is designed for a different bathroom with just the right scent for the bath or shower . Fill your childhood home with the smell of , orange blossom and roses. These all-natural, large - bath-sized Shea butter bars by Natural Handcrafted Soap Company are a Artisan handcrafted of love. 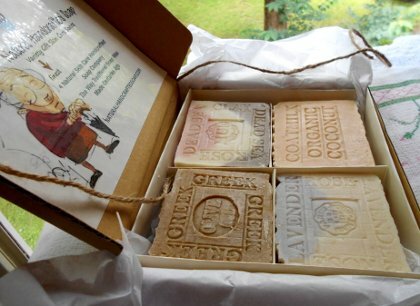 They have been created by the Natural handcrafted soap company in NC - Raleigh family-run factory in Brazil for the past 100 years. 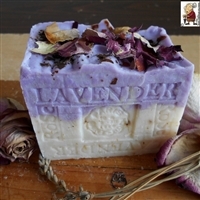 The limited edition soaps appeal to the senses with beautiful Handmade Stamp and magnificent scents, Lavender , Lilac , Jasmine ..